Shirt: from JCrew last summer, but they are always coming out with new eyelet items. Belt: American Eagle - my daily staple. They always have great high quality leather belts for solid prices. I was given the necklace as a gift and am unsure of where to find it, but Etsy is filled with gold name plate necklaces. 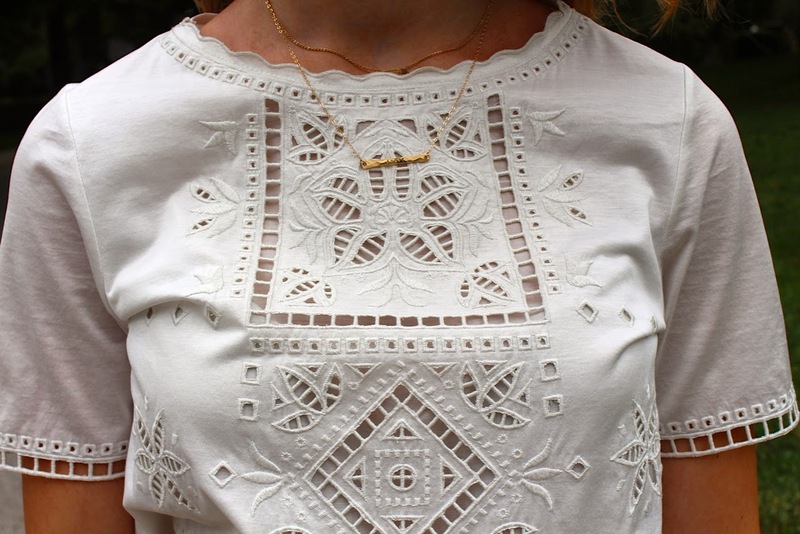 Such a darling top...eyelet really does scream summer! I also just followed you on Bloglovin if you could do the same! Cute look! Loving your blouse! I love this outfit. It's very cute.